I’m very proud to share with you that our students won a prestigious international robotics competition! 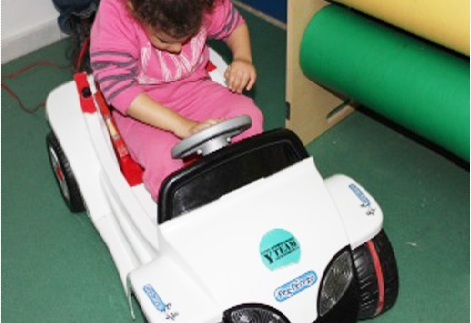 Initially you will be amused by their fun project: a group of Israel Sci-Tech students in the town of Yeruham, with neighboring schools, turned a toy car into a futuristic, empowering mini-car that transforms the lives of kids with physical disabilities. Yet this team’s robotics innovation won them top place at the prestigious international FIRST Competition. What’s more, it’s already in demand in other cities. 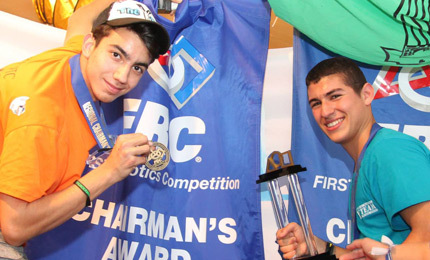 Yeruham Sci-Tech won the FIRST’s Robotics Competition (FRC). In fact, they won two years in succession! They also wholeheartedly trained their FRC competitors at nearby a nearby Bedouin and religious Jewish schools, teenagers who would never otherwise be exposed to robotics studies. That’s not all. 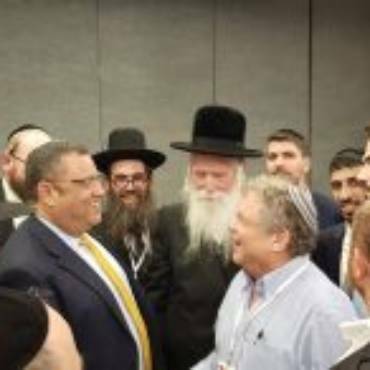 The Ministers of Education and Science and Technology chose our students’ 16-year robotics education model for the State of Israel. Is it dawning on you that these are super special teens? ”Being in The Y Team teaches that we don’t have to be gifted or famous or even grown up to change the world.” Mor (18), Yeruham Sci-Tech School and member of The Y Team.